We wanted to explore the characteristics of a home water analysis service. 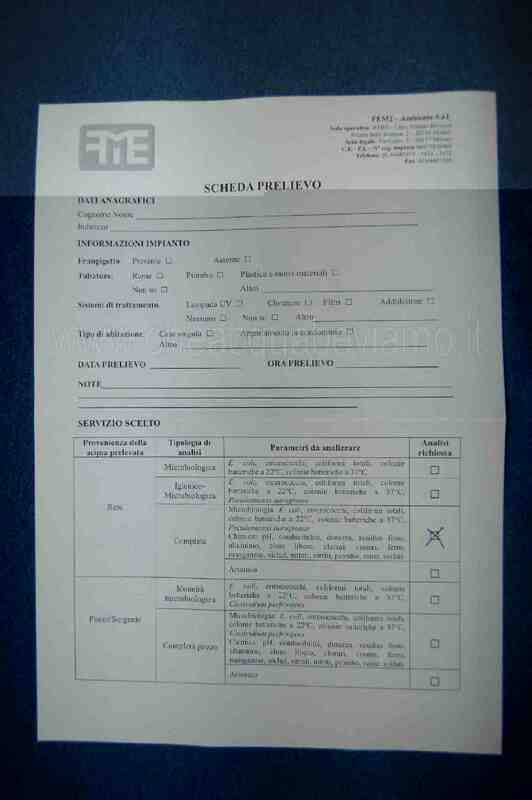 Our starting requirements were essentially the same of readers of cheacquabeviamo.it that are often asking for clarifications and analysis details of their home drinking water. 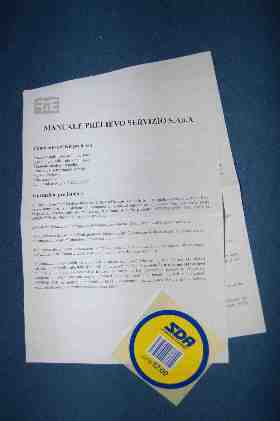 Common questions include: I'd like to verify the water analysis values as documented by tap water providers - The tap water supplier did not provide analysis details about tap water - My " Tap Water" is actually undrinkable - I own a private well and would like to have the water analyzed to understand if I can safetly drink it. Among the different available services we have chosen the Home Water analysis service by FEM2 - Ambiente Srl (a spin-off of University Milano-Bicocca). Among the various products from FEM2 - ambiente we tried the service named SaNa Casa and in particular for the "completa rete". This includes microbiological analysis + Chemical analysis (basic physical-chemical parameters, salts and metals). Content: After completing and submitting the purchase order on the web a relatively bulky parcel is delivered to specified home address. 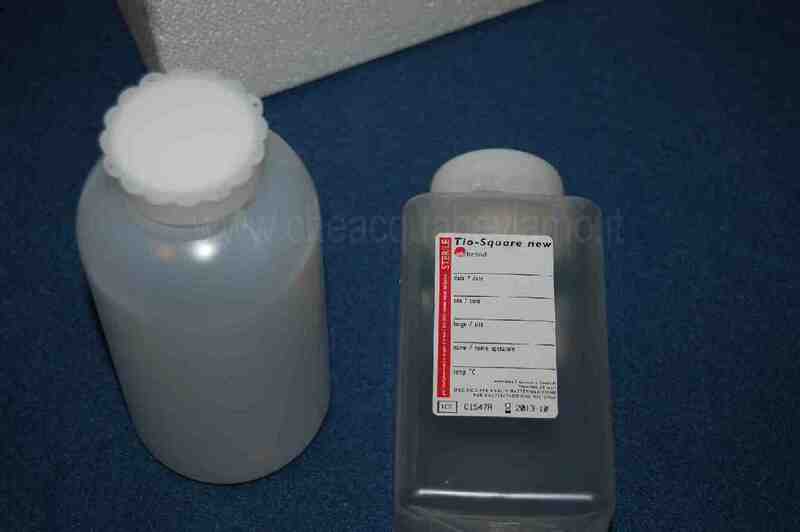 Same package will be used later to return collected water samples to laboratory for analysis. 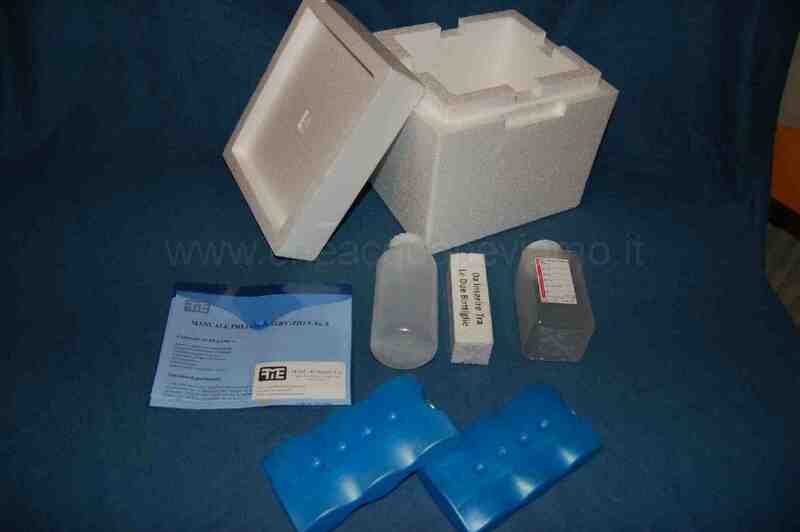 Thermal container made of polystyrene foam that contains: 2 plastic 500 ml bottles for water collection (there is a specific sterile bottle that will be used for bacteriological analysis), Test documentation, 2 ice thermal packs, test datasheet instructions, courier label to ship parcel back to to laboratory with collected water samples. Doing the test: Steps needed to perform the tests are clearly documented on provided documentation, all steps are really simple. Basically, before proceeding with water collection activity Laboratory responsible must be contacted in order agree about the day the test will be executed. This will ensure that box will be picked up by parcel service and delivered to the Laboratory in the shortest possible time. Upon receiving confirm from Laboratory contacts the water collection activity can start. To avoid wrong results some cleanup activities must be done first. As tap filter could retain some potential bacterias, before collecting water samples is higly recommended to clean it with a disinfectant and then wash it with fresh water for several minutes to avoid any residual polluting substance. Once completed the cleanup operations the 2 provided bottles can be filled with home water and then sealed. To end the test process the water test datasheet must be filled with all details about test (tap filter details, water filter treatments details, if any, home plumbing details, etc). After packaging all materials back to the original box (test datasheet, bottles with collected home water, 2 ice thermal packs (frozen), at planned time, the box is then picked up by the courier and shipped to FEM2 - Ambiente s.r.l. Laboratory. During our test the courier did a great job and the box has been collected the exact time that we previously agreed with the Laboratory. After some time as needed by Laboratory to execute analysis test (that in our case took only 2 working days) we have received, thru email, 2 .pdf files containing our test results and considerations. 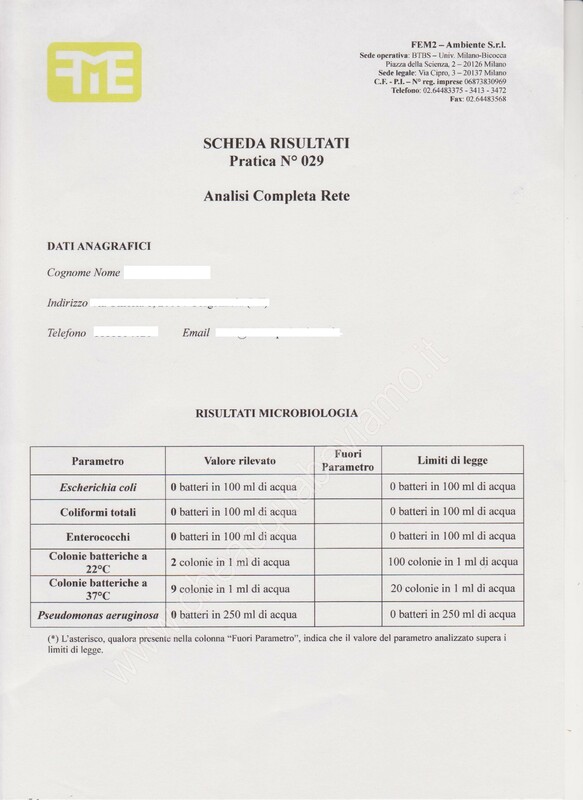 documentation about test results considerations (italian) "Test results considerationsi"
In summary we can say that we found this water analysis service as a very good solution where looking for confirmation or alternative responses from what documented by the water supplier. Unfortunately in Italy there are many situations where the water source differs significantly from what found by individual households. The factors that affect the water quality are varied and include distribution, pipelines, etc. Having an alternative and independent service (sometimes water analysis services are offered as part of home water treatments services) can allow greater decision-making autonomy to better address any issues of treatment. In addition, the use of the parcel service to returns water tests allows the Customer to perform tests anytime by avoiding all the typical constraints of meetings at home with technicians. We can summarize the pros: Easy test execution, efficient parcel service to pick up water tests, good documentation and a friendly telephone / email support. We found no negative aspectes beside some considerations about the cost of the service. The price (currently is offer at 99.90 €) is below the average price of competitors and it seems justified by the live costs (courier services, materials, laboratory equipment, Laboratory staff). As for other services, potentially aimed to every family, would be useful a greater involvement of municipal administrations to allow costs reduction. Unfortunately, due to the current economic conditions, the actual cost can negatively affect its diffusion. Contents: Package contains five plastic test tubes containing test strips for pH, sulfate, hardness, nitrite, nitrate, chloride, an user's manual and a water test results sheet. 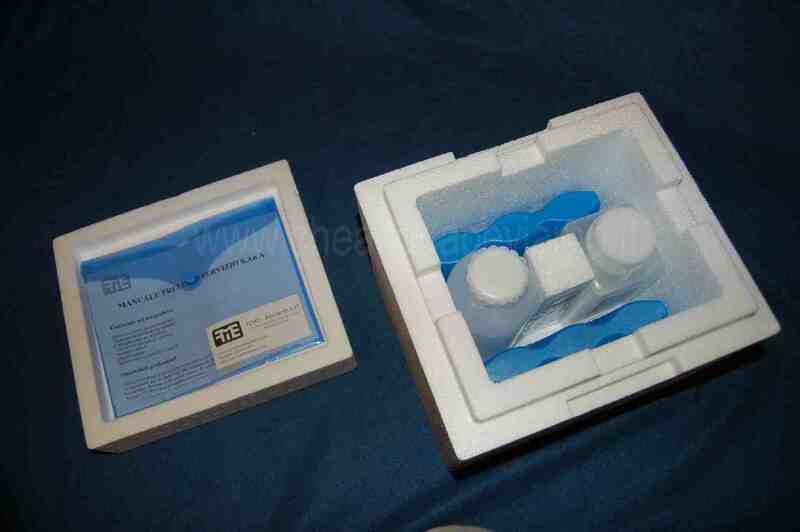 Inside the Box are quickly described steps for water analysis test. Doing the test: the test execution is very simple as actually described in 8 steps written inside the box. At the end of the process the coloured strip indicators are compared with those reported in the reading card to put results within a range. As you can see from the reading card comparison table the sulphate level is difficult to determine. In particular, probably due to a printing problem, the first 3 columns appear all identical about color and gradation and is almost impossible to identify the exact column between ​​0, 125, 250mg / L.
Results: At the end of our test, we compared the results as collected from Water Analysis kit test with the values as documented by town tap water provider. As a good starting point we found that results collected with Home Water analysis kit does not differ from what documented by Town tap water provider. Cons: As previously wrote our main concern is related to Sulphate comparing card. 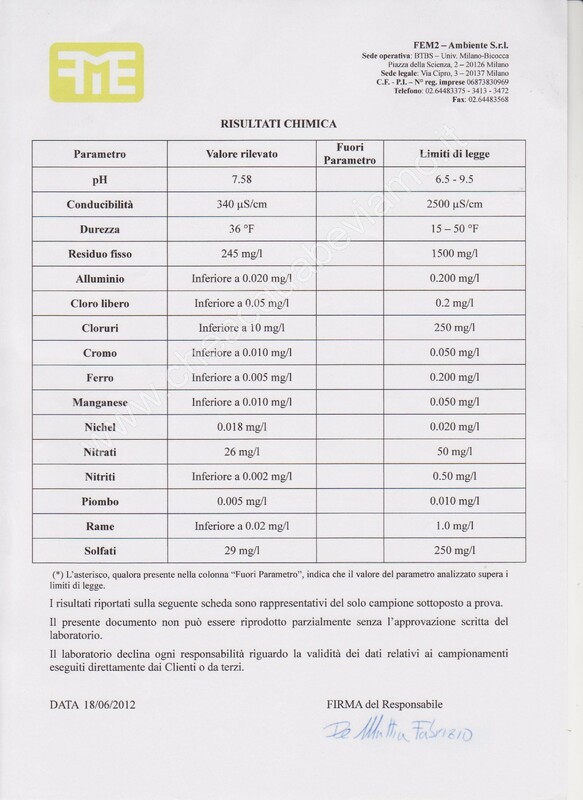 Although not representing a risk, as wrong colored values are below law limits, the current comparison table does not allow a correct and accurate determination of the bands 0-125-250 mg / L.
The kit is sold in supermarkets with a cost of about 10 €. Despite the relatively low cost would be nice a price reduction or better a free supply to families from municipality.